Paul is a Director of Orchard Clinic. He qualified as a Physiotherapist from the Royal London Hospital / University of East London in 1993. After working in the NHS, Canada and in clinics in the USA , returned to the UK and completed full time Masters Degree in Manipulative Physiotherapy at the University of Brighton. He then worked in private practice in Central London and provided Occupational Health Physiotherapy for the then London Weekend Television LWT. He has worked at Orchard Clinic since 1999 as a Physiotherapist, Clinical Supervisor and Examiner for Post Graduate Physiotherapy Programmes. Paul’s indepth approach in evaluating how the whole body’s function may have influences in symptoms in a particular body area has led him to specialize in treating patients that have had unsuccessful treatment from other therapists. He treats conditions throughout the body, spinal and sports injuries. He was one of the first clinicians to adopt real time ultrasound scanning in assessment and treatment of Pelvic / Abdominal dysfunction and how this effects pelvic and back pain. Outside of work, Paul is an enthusiastic road cyclist completing sportives such as `the Fred Whitton challenge”, and loves to cycle in the Alps. He is a less enthusiastic runner, and a Saracens Rugby fan. Kieran is an Orchard Clinic Director. 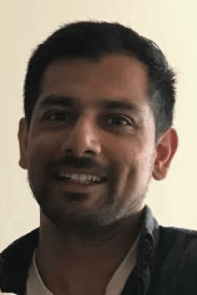 He qualified in 2001 from Brunel University and is a highly skilled therapist specialising in Musculoskeletal Physiotherapy (MSK) and Occupational Health. He has extensive experience treating a mixed and varied caseload, from sports injuries and spinal problems to postural dysfunction and repetitive strain injuries. He has spent the last 12 years working with Corporate Clients and in Private Practice in central London and St Albans. Kieran has a keen interest in ergonomics and has further qualifications in Occupational Health Assessments with a wealth of experience with clients who have work related injuries. He has worked on site within companies providing extensive assessment and exercise programmes with the aim of helping his clients achieve their goals and remain injury free. 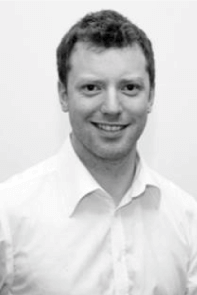 Kieran is committed to ongoing professional education and has completed multiple post graduate courses including Complex Regional Pain Syndrome, Rheumatology, Pilates, Spinal Manual Therapy, Strength and Conditioning and Spinal Manipulation. He has a keen interest in running related injuries and is passionate about assessing and treating patients as holistically as possible with a strong client centred approach. This is achieved with excellent communication skills, up to date clinical knowledge and a wide breadth of clinical experience. Faith has over 15 years experience as a qualified Physiotherapist. Before joining our team at the Orchard Clinic in 2015, Faith led an NHS Musculoskeletal Physiotherapy team in North Hertfordshire and also worked abroad as part of a Physiotherapy team in Nepal. Faith undertook Masters level training to obtain a Post Graduate Diploma in Advanced Neuromusculoskeletal Physiotherapy. She is also trained to use acupuncture in the management of pain. Outside of work Faith enjoys a busy life with two young children, she is actively involved in her church and she keeps herself fit with regular exercise including Pilates. 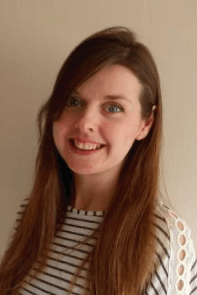 Becky graduated from UCLin 1996 with a BSc (Hons) in Physiotherapy. 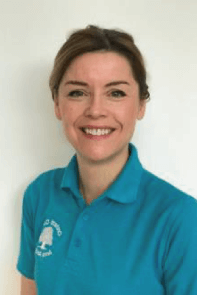 She worked as an NHS physiotherapist at the Royal London Hospital and then specialised in musculoskeletal physiotherapy and has worked at Stanmore, St Albans City Hospital, Harpenden Memorial Hospital and the Orchard Physiotherapy Clinic. 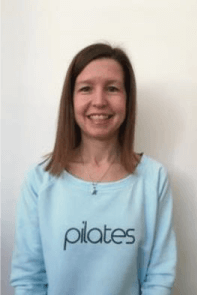 Becky has a special interest in clinical Pilates and teaches APPI Pilates (modified Pilates developed by Physiotherapists). She has been teaching Pilates classes at the Orchard Clinic since 2002. Becky runs a Pilates for the Over 60s and Pilates for Osteoporosis in addition to teaching regular Pilates classes. She also teaches 1:1 Pilates for clients who are keen for an individual session to improve their core stability, postural awareness and learn how to incorporate exercise into their daily lives. 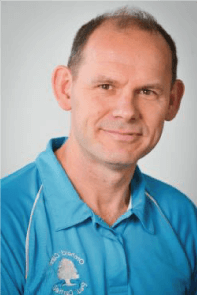 I am a very experienced Physiotherapist specialising in treating patients with musculoskeletal conditions and I have a particular interest in back pain and lower limb sports injuries. I have been a practising Physiotherapist for thirty years and I have expertise in a broad range of conditions having worked in several large teaching hospitals in this country and abroad. I have an MSc in Physiotherapy and I have undertaken several post graduate courses in areas such as fascial release, sports injury management, running injuries, Pilates and cognitive behavioural therapy. I combine my physiotherapy practice with being a Senior Lecturer at the University of Hertfordshire where I specialise in teaching musculoskeletal physiotherapy. I am a member of the local running club and regularly take part in half marathon and cross-country events. I trained as a physiotherapist in Perth Australia, graduating in 2004. I moved to the UK from Australia, 9 years ago and I now call St Albans home. I have 14 years experience working in private practice for sports medicine clinics in Australia and London, as well as sports clubs including rugby union and Australian rules football. I completed my masters in sports and exercise medicine at UCL London at the end of 2016. The best part about my job is that I have the opportunity to help clients to return to their daily life activities without pain or return to their sporting interests. I have extensive experience treating injuries of the lower back, hip/groin, knee and ankle. I enjoy treating running, rugby, cycling injuries and post op rehabilitation. In my spare time I enjoy keeping fit and active and you will find me these days either running up and down the Alban way or cycling the quiet country roads surrounding St Albans. Moving to St Albans gives you a great balance between the outdoor and city life and my wife and I are really pleased to have moved here. Travel is what brought me to the UK and I have never stopped doing so. I love to experience new cultures especially in London itself with all the fascinating museums and historical sites but also ensure a lot of my holidays including hiking, surfing and just generally enjoying the outdoors. Matthew has been working for the clinic for over 5 years. He graduated from the University of Hertfordshire in 2009 and then completed his Msc in Advanced Musculoskeletal Physiotherapy in 2017. 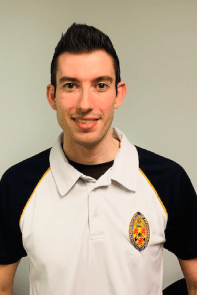 Matthew also works in the NHS as an Advanced Physiotherapy Practitioner in Hertfordshire and lectures part time at the University of Hertfordshire. He enjoys treating all musculoskeletal conditions and has a special interest in shoulder rehabilitation especially multi-directional instability. Since qualifying Matthew has specialised within MSK physiotherapy working privately, within the NHS and for a semi-professional football team. He will working collaboratively with his patients to achieve their rehabilitation goals with a range of treatment options and most importantly advise and educate you on your condition. 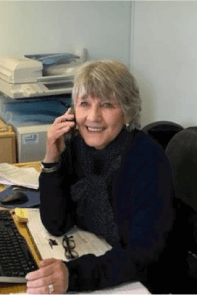 Wendy joined the Orchard Clinic in 2009 as a Receptionist and for the last 6 years has been the Practice Manager. Her position requires her to liaise with the patients and also deal with the day to day running of the clinic, including ‘billing’ the numerous insurance companies that we deal with. Wendy previously worked in the Financial Services area and before that with a film location company on TV and film productions. Outside of work, Wendy’s hobbies are walking her daughter’s 2 Irish Setter dogs, practising Yoga, making blinds/curtains/soft furnishings for herself and her family and reading, her favourite author being Agatha Christie.